Will you be joining us this year for the Disneyland Half Marathon Weekend presented by Cigna, taking place September 3-6, 2015, at the Disneyland Resort? Can you believe it’s been “Ten Years Running”? If you’re curious as to what merchandise awaits you for the races, wait no longer. Here’s your first look! 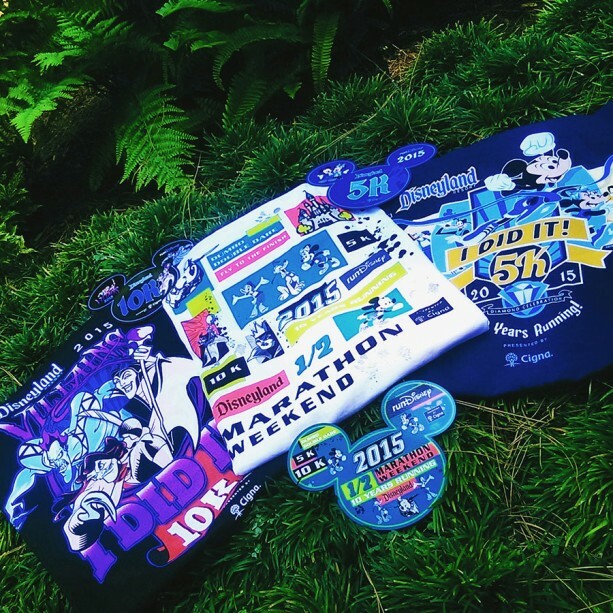 Sought-after items this year include the Disneyland Half Marathon merchandise, performance tees, jackets and tanks. Of course, the ever-popular mens’ and ladies’ tees emblazoned with the “I Did It” message on it and course map on the back continue to be fan favorites. I triple-dare you not to fall in love with the Dumbo Double Dare collection. My heart soars just thinking about it. 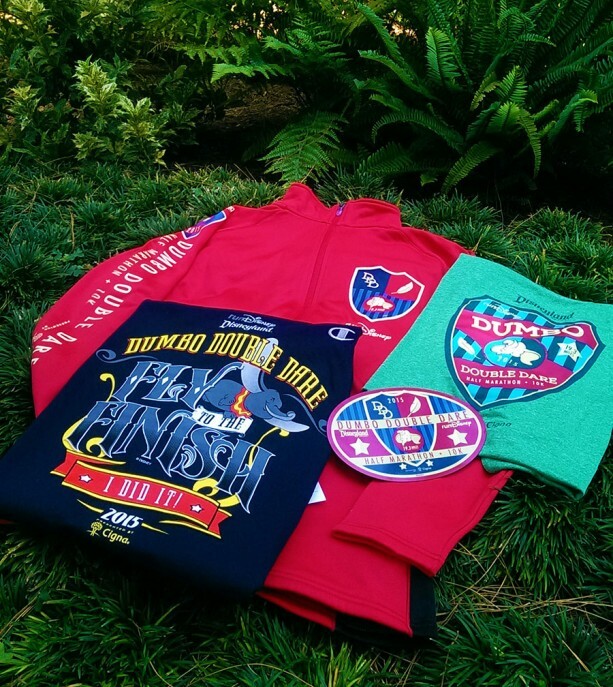 You’ll find plenty of themed merchandise, including men’s and ladies’ tees with Dumbo Double Dare and “Fly to the Finish” logos on it along with a tank, jackets and car magnets. We’re not finished quite yet! 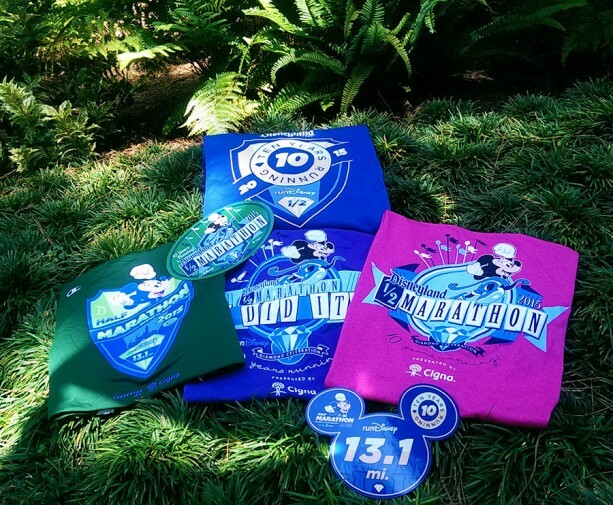 Look for an additional “I Did It” tee to debut for the Disneyland 5K, along with a Disneyland 10K tee featuring Captain Hook, Hades and Maleficent. If you can’t decide, and it’s an all-inclusive Half Marathon Weekend tee you seek – don’t worry, we’ve got it! Some of you may have already seen this, but for you Dooney & Bourke and race fans that haven’t, here’s a look at the pattern that will appear on several silhouettes including a cross-body, tote and wristlet. Are you planning to add this to your collection? Now’s your chance to secure a piece of the magic! Pre-order your Dooney & Bourke bag prior to August 28, while supplies last. Purchase today! Finally, you know when it comes to runDisney merchandise it doesn’t stop there. 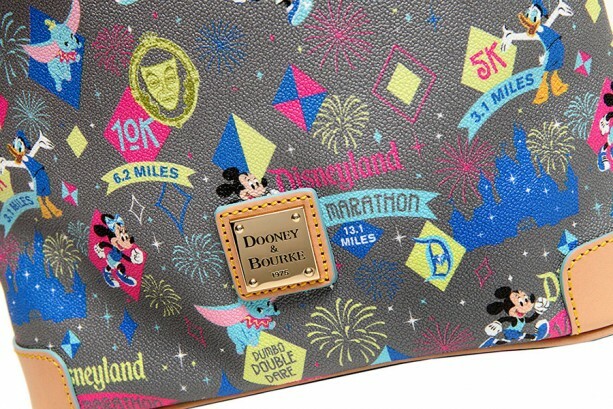 Look for additional items themed to the Disneyland Half Marathon, runDisney, as well as 2015 runDisney Coast to Coast Race Challenge offerings.